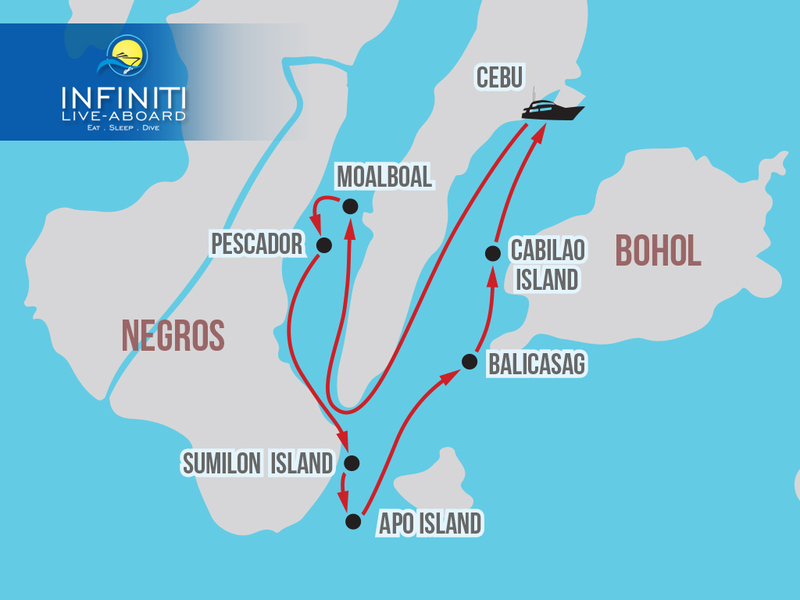 West coast of Cebu is Moalboal with its shimmering shoals of sardines, sea snakes and sweet lips. 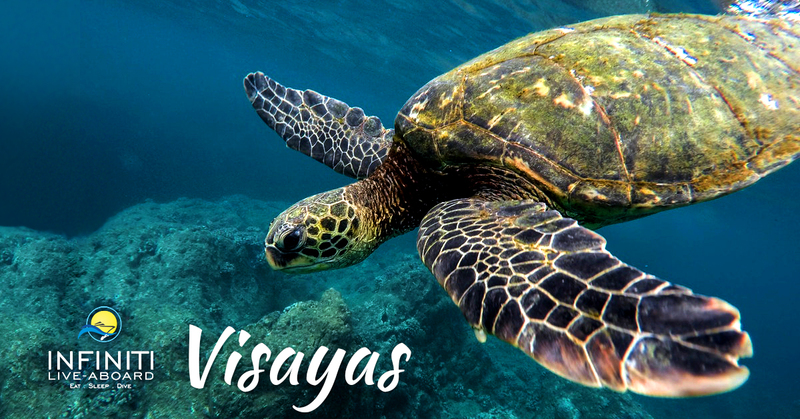 Pescador Island with its shallow coral gardens and wall diving where clownfish, frogfish, triggerfish, snappers and Moorish idols, turtles can be seen along with many macro species. Sumilon waters with constant currents are frequently visited by black tip shark, silver tuna, and other reef fish and are recommended for experienced divers. Apo Island has reef walls with hard and soft corals where turtles, angelfish, snapper barracudas, moray eels, triggerfish, white tips can be seen regularly. Balicasag in Bohol is a marine sanctuary where beautiful corals are teeming with reef life… great place for snorkeling and drift dive. Cabilao Island, Bohol with Barracudas, dogtooth tunas, giant trevallies and also macro marine life like sea horses and nudis.